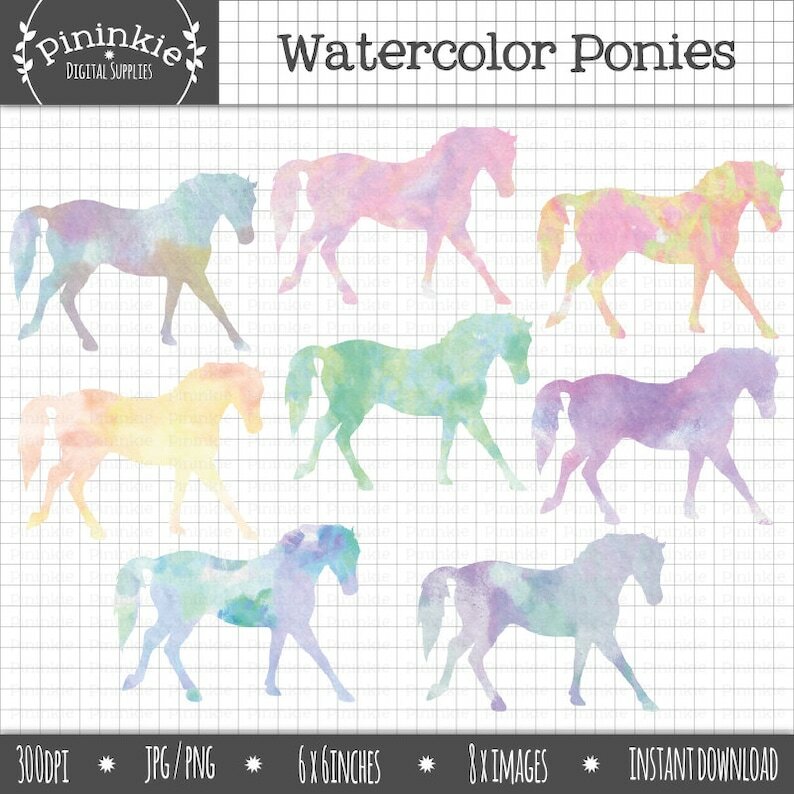 A set of 8 pony clip arts with watercolour effects. Each image is approximately 6x6 inches at 300 DPI, so ideal for resizing smaller. • Copyright © 2016 Tanya Stovold.